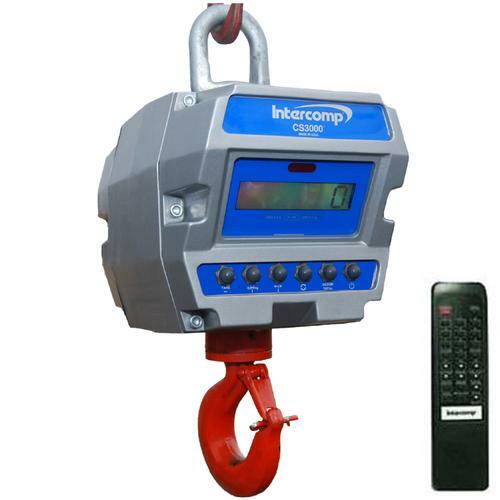 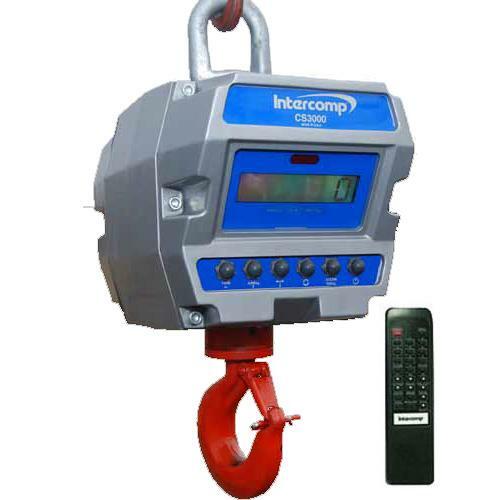 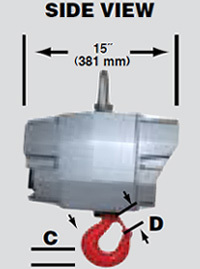 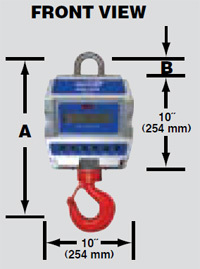 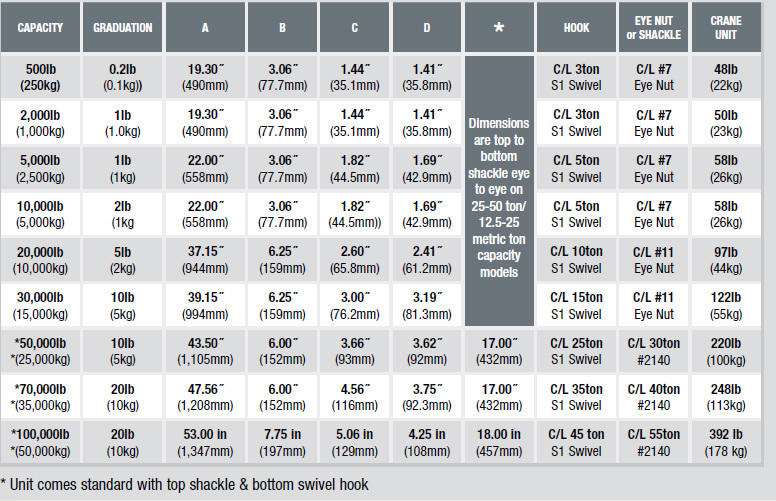 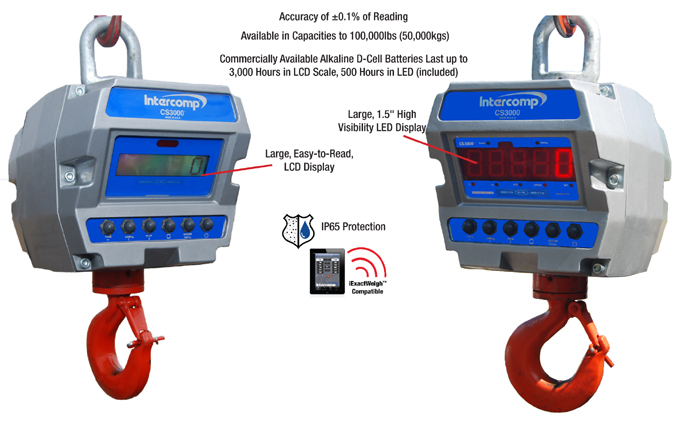 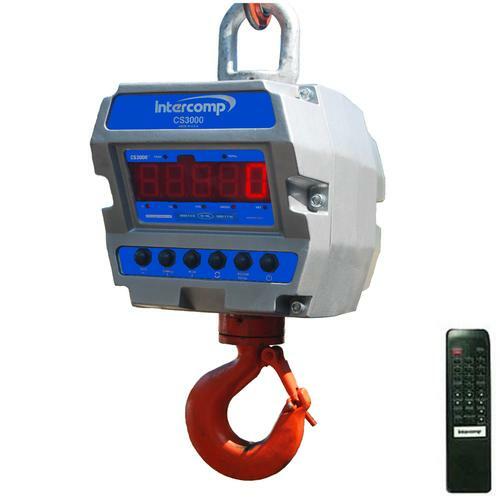 Intercomp offers the industry's most extensive line of crane scales, and can provide your company with a cost-effective solution to virtually every overhead industrial weighing application - ranging from 25 to 600,000 lbs/ 12.5 to 300,000 kg. 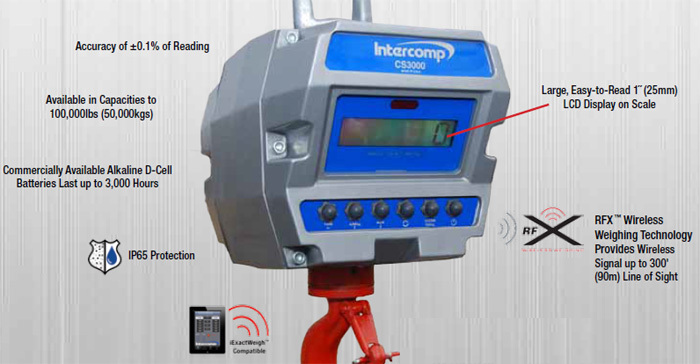 Our advanced design, value-packed with the industrys most desired features, makes Intercomp the first choice over other electronic units. 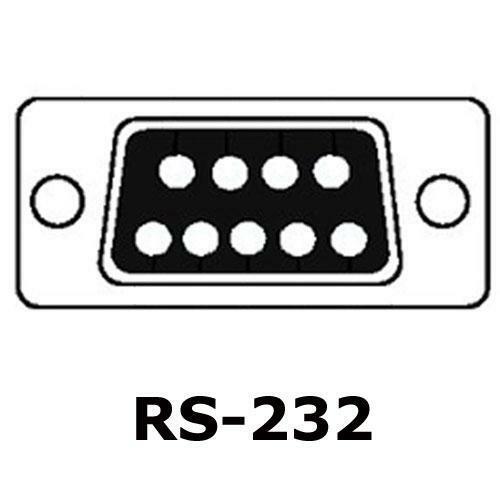 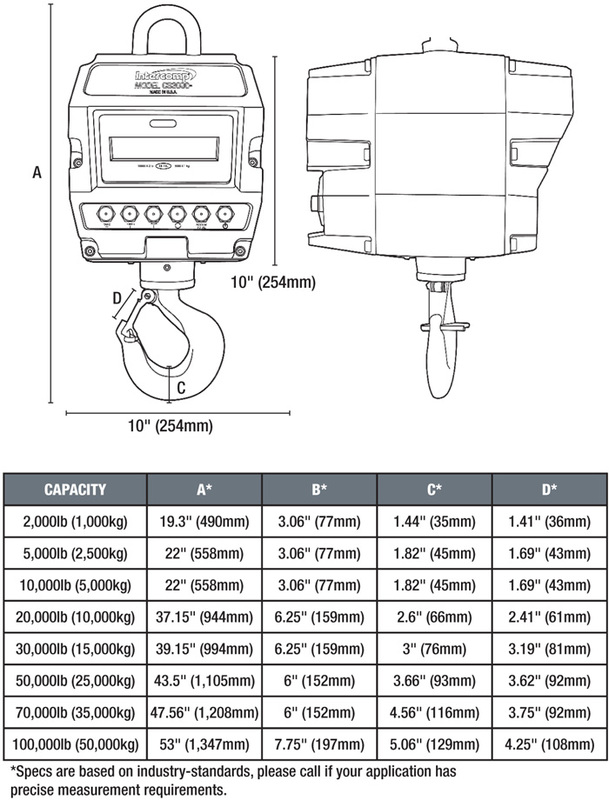 Ultra high-resolution, A/D conversion delivers unsurpassed accuracy, and digital keypad setup and calibration enhance the ease of operation. 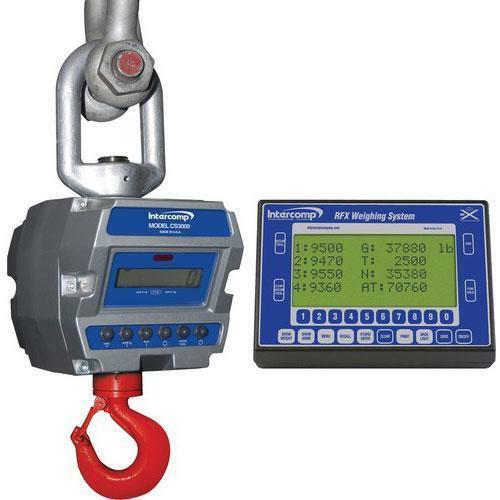 Available in capacities ranging from 2,000lb (1,000kg) to 100,000lb (50,000kg), the CS3000 crane scale features fully integrated RFX Wireless Weighing Technology and is built to thrive in harsh environments. All crane unit electronics are shock-mounted in a weatherproof case and provide maximum protection against moisture, dust and rough usage. 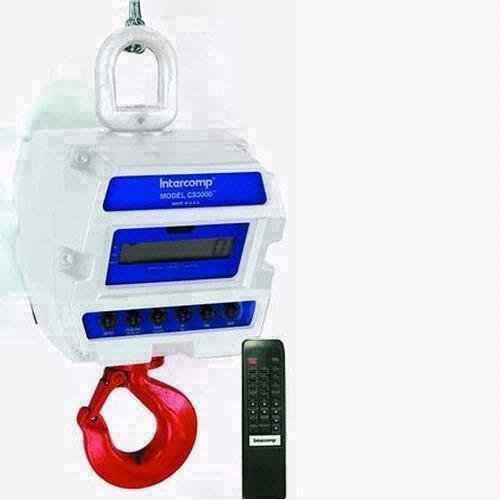 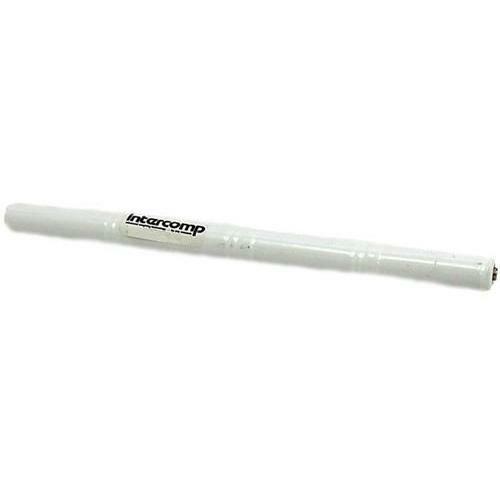 Commercially available batteries last up to 3,000 hours in the scale, minimizing down time due to battery charging or replacement.